Listing independent non-related hotels, resorts and holiday apartments Ozhotels gives travellers details about properties that are situated in the Gold Coast holiday destination of Southport. When you book your next resort or apartment accommodation in Southport through Ozhotels you will be able to save lots of money by dealing directly with these apartments and resorts, hence ensuring that you get the best possible rates that are available. The suburb of Southport on the Gold Coast is ideal the perfect place for both business and leisure travelers to stay and has a wide variety of fully furnished serviced apartments, hotels, motels and resorts to choose from. 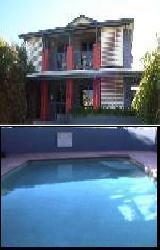 This large range can make choosing the most appropriate accommodation in Southport a fairly time consuming task. This is why many people prefer to use the services of an accommodation expert like OzHotels in order to help them find the right place for their particular needs. This service allows you to compare lots of different properties located right across Southport and the surrounding area, ensuring that you are able to find the one the meets your budget. The advantages of booking online with OzHotels is that you will be able to book up to 12 months in advance and that you will get an extra discount off the already cheap rates when you stay longer. So the next time that you are needing to book a business trip or holiday to Southport save yourself time and money by booking directly with OzHotels. The Arrival Accommodation Centre is one of the newest purpose built hostels in Australia, offer good basic rooms with spacious and clean non smoking rooms at a budget price in the heart of Queensland's beautiful Gold Coast. Arrival Accommodation Centre in Southport is located in the heart of the Gold Coast, close to Surfers Paradise with its fantastic shopping and world class restaurants and walking distance to shopping centres, cinemas, parks, beaches, Southport Hospital, Gold Coast Institute of TAFE and english language schools. This property provides all types of travellers with budget accommodation in Southport and also features a range of modern amenities such as direct internet access, free car parking, guest laundry, outdoor swimming pool and wheelchair accessibility. The Aquarius Gold Coast offers budget hostel accommodation with share dorms & private hotel rooms in Southport, Surfers Paradise on the magnificent Gold Coast. All year round sun, fun, surfing, parties and excitement is what you will expect from your stay in one of the world's greatest tourist capitals. The Aquarius Gold Coast in Southport is close to everything that the city has to offer, as well as having a numerous guests facilities and services including lounge bar, direct internet access, free car parking, guest laundry, spa, tour desk, bbq, airport shuttle and security. 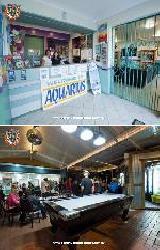 Aquarius Gold Coast is a fun and friendly Gold Coast backpackers, only minutes walk to beaches and the heart of Surfers Paradise offering great prices for all travellers. 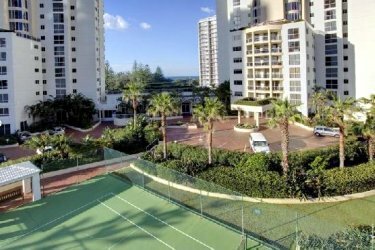 The spacious holiday apartments at the Harbour Side Resort are located in a three-storey apartment complex which has been decorated by a leading Gold Coast designer. These fabulous Gold Coast apartments are fully self contained and feature reverse-cycle air-conditioning in every room of each apartment. The Harbour Side Resort Apartments are conventiently located in Southport, directly opposite the beautiful Gold Coast Broadwater. The Harbour Side Apartments Southport are close to Gold Coast's wonderful Dreamworld and Movieworld theme parks, the famous Surfers Paradise beach and city centre and also only minutes from shops, cafes and restaurants. This spacious Southport accommodation is set amongst tropical surrounds and the resort features a large in-ground swimming pool, separate spa, half-court tennis court and two BBQ's under a shaded entertainment pavilion. The ideal Gold Coast apartment accommodation for the whole family. The fully self contained serviced holiday apartments at the Aqualine Apartments come with 1 & 2 bedrooms and are perfectly located directly opposite the beautiful Broadwater and the wonderful new Broadwater Parklands in the heart of the magnificent Gold Coast. 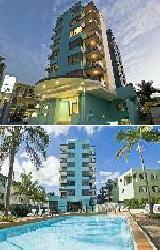 The Aqualine Apartments in Southport is located so that you can take advantage of all that the Gold Coast has to offer. The Aqualine Apartments in Southport is close to everything, as well as having a numerous guests facilities and services including conference centre, direct internet access, free car parking, lift, spa, outdoor swimming pool, tour desk, bbq and baby cots available. The Aqualine Apartments on the Gold Coast is perfect for that special occasion for a couple, the family with children or business travellers.